The Teddy Bear Tree-Tops ANON. 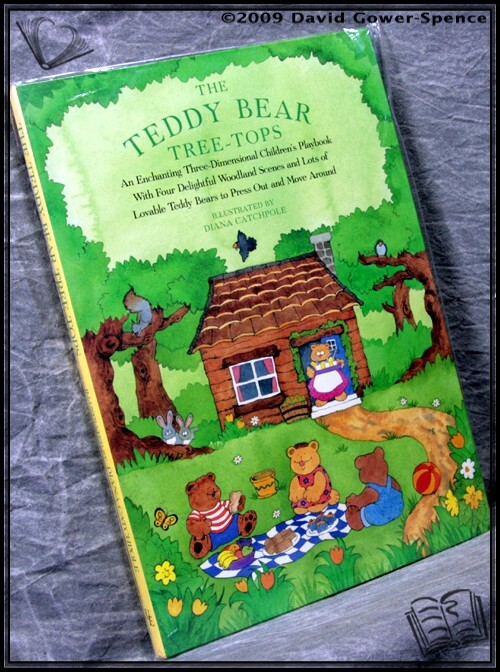 The Teddy Bear Tree-Tops - ANON. Condition: Near Fine. In original sealed mylar packaging. From the cover: “A enchanting three-dimensional children’s playbook with four delightful woodland scenes and lots of lovable teddy bears to press out and move around.”. Illustrated by Diana Catchpole. Size: 13" X 9".